Considerations Involving Proposals for Settlement / Offers for Judgment - В сложной финансовой ситуации приходит на помощь кредит наличными в Казахстане. There needs to be a contractual or statutory basis in order to be entitled to recover your reasonable attorneys’ fees at trial. See Cadenhead v. Gaetz, 677 So.2d 96, 97 (Fla. 1st DCA 1996). This means either the contract needs to support a basis for the party to recover attorney’s fees (such as a prevailing party attorneys’ fees provision or a contractual indemnification provision that authorizes attorneys’ fees) or there needs to be a statute that authorizes you to recover reasonable attorneys’ fees. Absent these bases, there is generally no basis to recover attorneys’ fees. However, there is a vehicle under Florida law that allows you to create the argument to recover reasonable attorneys’ fees irrespective of any contractual or statutory basis. This vehicle is referred to as a Proposal for Settlement a/k/a Offer for Judgment (“Proposal”). This vehicle is governed under both Florida Statute s. 768.79 and Florida Rule of Civil Procedure s. 1.442. If you are a defendant, you can serve a Proposal no earlier than 90 days from the date the plaintiff initiated the lawsuit and no later than 45 days from the trial date (or first day of the trial docket). You should be entitled to recover your reasonable attorneys’ fees and costs from the date of the Proposal on forward if the plaintiff does not accept the Proposal within 30 days and the “judgment [against you] is one of no liability or the judgment obtained by the plaintiff [against you] is at least 25 percent less than” the Proposal. For instance, let’s say you are a defendant and serve a proposal for $100,000. The plaintiff does not accept the Proposal within 30 days. Now let’s say the plaintiff gets a judgment against you for $70,000. The 70,000, however, is at least 25 percent less than the $100,000 Proposal. 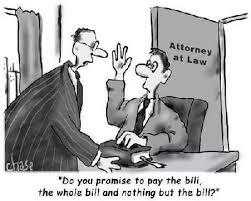 This gives you the argument that you should be entitled to your reasonable attorneys’ fees from the date of the Proposal on forward and these fees and costs would set off from the $70,000 judgment against you and/or the plaintiff would owe you any excess (if your fees and costs exceeded $70,000). If you are a plaintiff, you can serve a Proposal no earlier than 90 days from the date the defendant was served with the complaint and no later than 45 days from the trial date (or first day of the trial docket). You should be entitled to recover your reasonable attorneys’ fees and costs from the date of the Proposal on forward if the defendant does not accept the Proposal within 30 days and you recover a “judgment in an amount at least 25 percent greater than the” Proposal. Let’s say you are a plaintiff and serve a proposal for $100,000. The defendant does not accept the Proposal within 30 days. Now, let’s say you get a judgment against the defendant for $130,000. The $130,000, however, is at least 25 percent greater than the Proposal. This gives you the argument that you should be entitled to your reasonable attorney’s fees from the date of the Proposal on forward. There is a lot of thought to Proposals that need to be ironed out with your counsel before serving the Proposal. The content and form of the Proposal must be specific and reference and comply with both Florida Statute s. 768.79 and Florida Rule of Civil Procedure s. 1.442. However, this is an area of law that contains extensive and, sometimes, conflicting case law meaning that you really cannot bank your entire case on recovering attorneys’ fees pursuant to a Proposal. This is why I use the terminology that the Proposal is a vehicle to create an argument to recover attorneys’ fees, since recovery is never an absolute. Timing – You need to consider whether to serve a Proposal at all and, if so, the appropriate timing. Once the Proposal is served, the cat is already out of the bag regarding that amount and the other party may always feel this is an amount they can resolve the case down the road if the Proposal is not accepted.